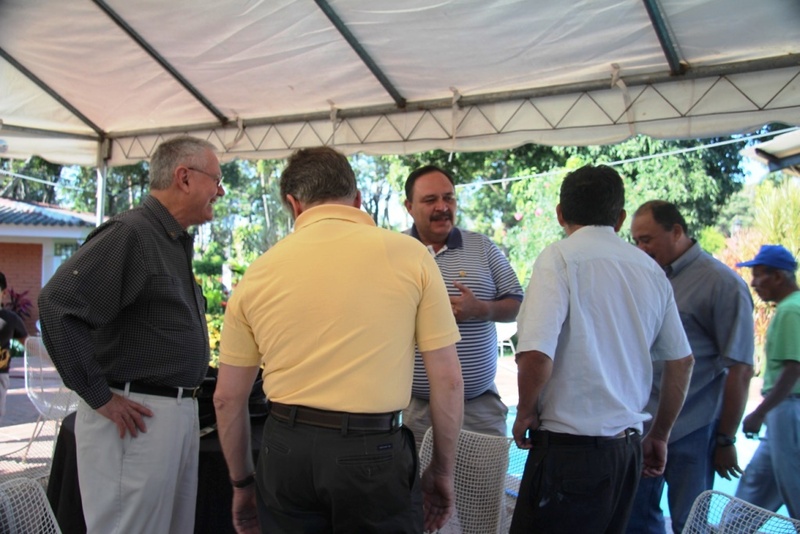 I am often asked by those who do not understand the concept of accompaniment, “Why do you go to El Salvador every year? Wouldn’t it be easier to just send a check? It is hard to answer that question in 10 words or less. The minute we arrived one of our scholarship girls asked, “When will you be back?” She was already eager for our next visit. She had been calling our translator all morning and counting down the minutes until she saw us. Our visit was important to her. Every visit is important to her. She lives in extreme poverty. 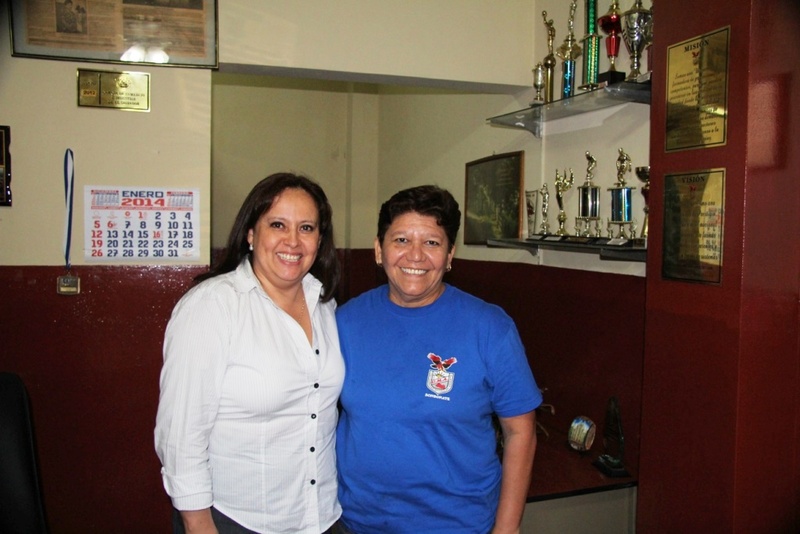 Checking in with our scholarship students is high on the priority list for any visit to El Salvador. It allows us to enter into meaningful conversation about their lives, their families, their needs, their future plans, and to show support. It gives them a chance to ask us questions, also. Much changes between visits. Any relationship requires time and effort to sustain and nurture. Our Salvadoran relationships are no exception. Electronic communication is helpful for short notes, but the language differences remain a barrier. Our most gratifying communication with one another remains eyeball to eyeball. It is while engaging in personal conversations that we can honestly and openly share, address mutual concerns, and begin to devise effective follow-up strategies. When we are face to face with our friends via a translator, we accomplish much and strengthen our relationships with one other. An example of this occurred during a previous visit with our scholarship girls; we discovered that the money we were sending was not arriving in time for them to begin their semester of classes. Consequently, they sometimes had to sit out a semester. We tried several other avenues of sending money with no better results. We sent the university e-mails and letters (translated into Spanish) asking for help yet garnered no replies. A priority of this most recent trip was to sit down personally with university officials, taking the girls in tow to explain the situation. With everyone in the same room “eyeball to eyeball,” all issues were laid out, a plan was hatched to rectify the problem, and all parties left satisfied with the results. In a couple of hours we resolved what we had been trying to do from a distance for several years. Sometimes as a result of our conviction to our relationships, our conversations lead us to take a concern back to our local committee to prioritize and address. For instance, after spending time with a young Salvadoran Lutheran youth pastor whom we try to keep encouraging in his early ministry, he mentioned one of his 50 youth desperately needed tuition money to study. He requested help from us so that she doesn’t drop out of school to support her family as her brother did. We asked him to write up his request which we will submit to our committee for consideration. Had we not been in “eyeball to eyeball” conversation with him, I feel certain he would never have mentioned the need of this young girl. But the trust we have developed and interest we have shown in his ministry prodded him to ask on her behalf. In a world overloaded with ever-changing technology and media hyped to convince us to believe that it provides the answer to our every communication need, I maintain that working with our friends in a developing country using two different languages, the most effective communication remains the personal “eyeball to eyeball” approach. Interactions over a cup of coffee and a warm tortilla lend themselves to long-term relationships. We are un-hurried and can read each other’s body language. We can tell if the other is jesting or sincere – often difficult to do in written language. Based on the responses of the other person, we can judge how much to say or how far to take a topic. “Why don’t you just send a check? Wouldn’t it be easier?” It sure would, particularly as these bodies age! But does a check communicate that we want to accompany these people? Does a check allow us to form relationships? Does a check form a cultural bridge between us? Does a check raise awareness of one another’s reality? Does a check form trust? I think not. Only “eyeball to eyeball” communication accomplishes these important goals.